1966: Steed is driving Mark Crayford (Clive Revill) to the East German border when Mark recollects their old sports master, 'Pin Man' Perry, and how Steed always kept Mark out of the cricket team - and stole his Varsity dinner date, Dorothy. They leave the car and approach the border's wire fence on foot, skirting a patrolling guard. Mark pulls a gun on Steed, telling he's defecting - he's bitter about Steed always being the better man. 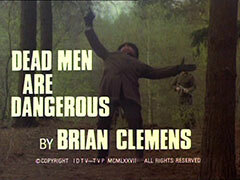 Gunfire breaks out, and Steed shoots Crayford, who is rescued by two guards. Ten years later, a Russian doctor (Gabor Vernon) tells Crayford the bullet has move an inch closer to his heart, and he's near death. He asks the doctor to declare him dead - he's as good as anyway. Steed is playing cricket with Purdey and Gambit at his club ground - they're sampling Purdey's gin, vodka and bitters enhanced lemonade when Steed sees someone who looks like Crayford on the pitch... Later, Crayford is in a pub, sampling his beloved warm bitter beer; he thanks the barman and leaves but his bulging wallet has been noticed by fancy man Hara (Terry Taplin) who tries to mug him, but is easily defeated by the wily Crayford and pressed into his service. Steed offers Purdey a nightcap after a drive in the country but when they enter the house is a mess - vanadalised, not robbed. He notices his cricket trophies - and Crayford's name. 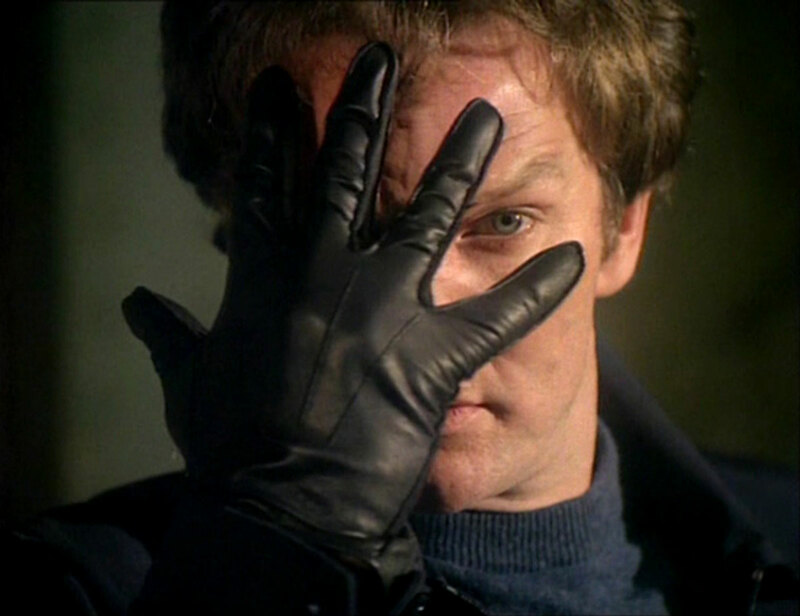 Hara returns to Crayford to tell him he's trashed Steed's place.Next day, Purdey tells Gambit about the vandalism as they spar on a karate mat and he's so concerned he turns down an offer of a drink. 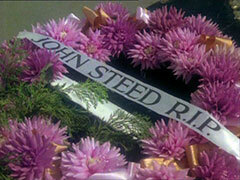 Hara meanwhile returns to Steed's, and blows up his Bentley as he's clearing up his living room. Next, a coffin with a wreath inscribed "John Steed R.I.P." is delivered. Hara erases Steed's name from the cricket club honours board and when Steed is told he tells Purdey to check on Comrade Kommissar Bukovski - Crayford's Eastern identity. 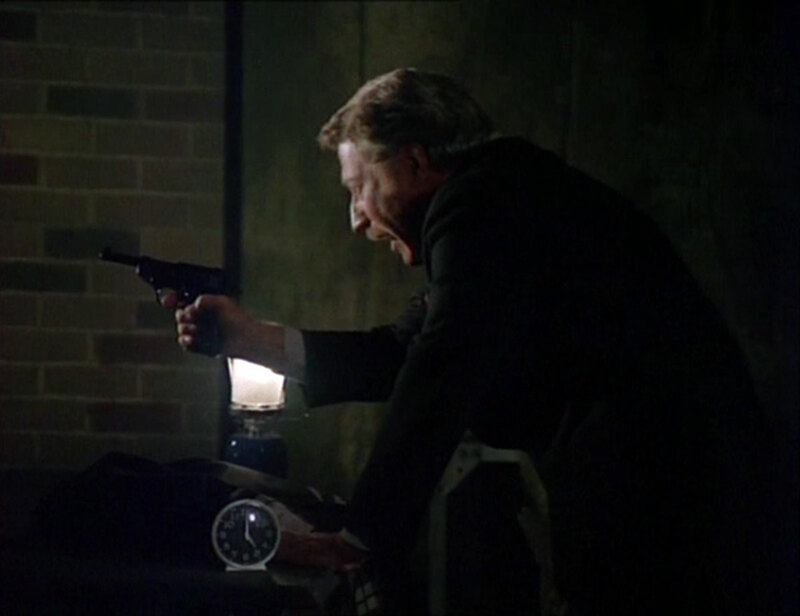 Purdey rings Steed to say Bukowski's reported dead and hears Steed shot by Crayford's sniper rifle... Gambit leaves Penny to get addresses for the old boys from the irate Headmaster (Roger Avon) while Steed is being tended by Dr. Culver (Michael Turner). He's just told Gambit the person he thought was behind the attacks is dead when Crayford strikes again from a nearby rooftop. Gambit gives chase while Purdey realises both shots were deliberately superficial warning shots. Tending his wounds at home, Gambit has a visit from Penny, positively identifying Crayford as the vandal and Gambit rushes off to tell Steed he's still alive. Crayford prepares a mammoth outdoor production, while Gambit investigates his file and Steed checks himself out of hospital. Steed phones Purdey to make sure she's safe but the moment she hangs up Crayford appears with a pistol. Steed is terrorised by megaphones playing recordings of his sporting prowess - and outlining the plan to first kill Purdey, then Steed - slowly. Gambit knows he's hiding out in the scene of his only triumph over Steed, and Steed remembers the Victorian folly they played in as children and he and Gambit race to the scene. Hara is sent outside to check the sound of Gambit's car and is swiftly dealt with. 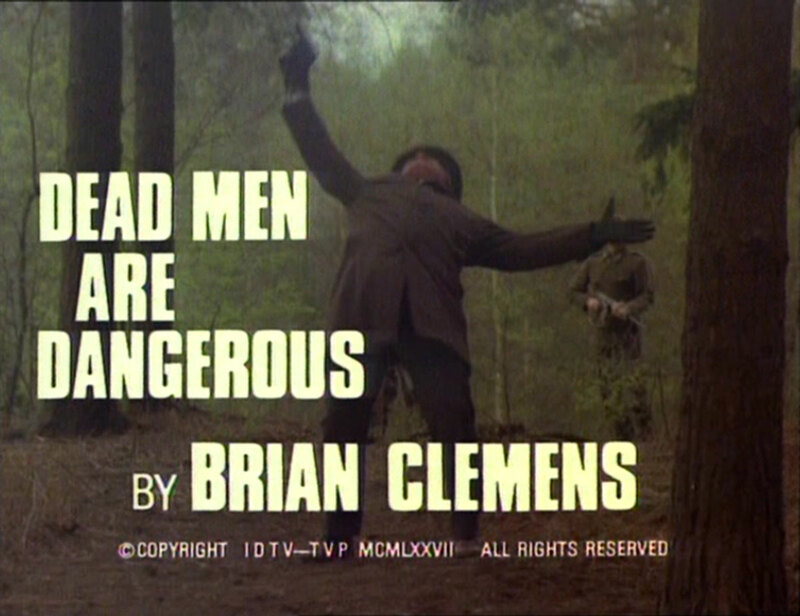 Gambit scales the outside while Steed enters, stopping Purdey's execution by throwing his bowler hat at Crayford, but Mark turns his gun on Steed, telling him, "At last, I win"... then finally dies himself from Steed's slow-moving bullet. 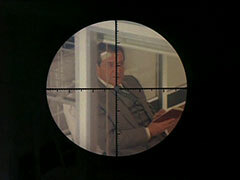 Gambit bursts in a window to find it all over and Purdey tells him Steed shot Mark - ten years ago!